Relative humidity (RH) moisture testing in concrete requires a properly calibrated in situ probe to ensure accuracy. Calibration certainly makes good sense for your own protection in case any moisture-related issues arise in the future. In addition, compliance with ASTM F2170 certainly requires calibration and its accompanying documentation. 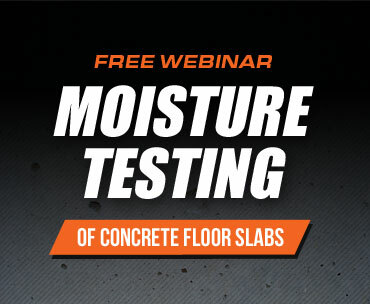 So any way you look at it – you want to make sure the in situ probes you’re using to measure moisture in concrete are calibrated to requirements. Just a quick reminder: in situ probes are inserted down into the concrete slab to measure the RH within it, which is the only scientifically proven way to verify the moisture condition in concrete. What Does “Calibration” Really Mean? An RH in situ probe has two main components: a sleeve and a sensor. The sleeve is installed in the concrete slab. The sensor is placed in the sleeve for performing the actual RH test. The sleeve protects the sensor and helps with proper equilibration for the most relevant RH reading. However, the sensor needs to be properly calibrated prior to use. Calibration ensures that the sensor will provide sufficiently accurate RH measurements to meet the ASTM F2170 standard for RH testing. ASTM F2170 outlines two different options for calibration checks, including using a salt solution. 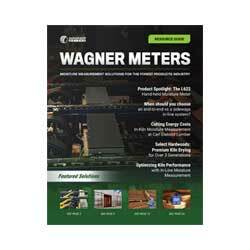 Wagner Meters developed its RH testing product line with easy calibration in mind. Its Rapid RH® Smart Sensors—both the Rapid RH® 4.0 EX and the Rapid RH® 5.0— are calibrated at the factory, which means they’re ready to use right out of the box. In fact, Wagner Meters provides a NIST certificate for each sensor, attesting to its calibration. 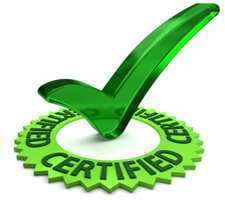 The NIST certificate is the calibration documentation needed by ASTM F2170. Nothing could be simpler, especially when you use the Rapid RH®4.0 EX Smart Sensor, which is a single-use sensor that provides you with all the calibration functionality and documentation you’ll ever need. No calibration check is ever needed. Because it is so fast and simple to use, the Rapid RH®4.0 EX is especially well suited for contractors and flooring installers. In contrast to the Rapid RH®4.0 EX Smart Sensor, which is designed for use at one test location, a reusable sensor can be used at multiple test locations. After it’s installed at one location and the reading is taken, it can be removed and installed at another location. For some building inspectors, flooring inspectors, engineering firms, and some QC personnel, a reusable system such as the Rapid RH®5.0 may make sense. However, to maintain ASTM compliance, the calibration of any reusable sensor must be checked no more than 30 days before it is reused. The additional time and attention required to ensure proper calibration means that a reusable system is usually the best choice for MOST contractors and flooring installers. Because of the extra time needed to perform calibration checks, Wagner Meters has designed the reusable Rapid RH®5.0 Smart Sensor to make the process as simple and quick as possible. Each Rapid RH®5.0 reusable sensor comes with its own patent-pending EasyCare CalCheck protective storage device that includes a salt chamber to check calibration. The EasyCare CalCheck storage chamber protects and stores the Rapid RH® reusable Smart Sensor under optimal conditions. This both extends the life of each sensor and greatly reduces the time needed to check calibration. Each Rapid RH®5.0 sensor must have an annual replacement with a newly certified sensor to maintain ASTM F2170 Compliance. The innovative design of the Rapid RH®5.0 makes it a great choice for anyone who prefers using a reusable RH sensor. And for anyone who prefers the ease and simplicity of a sensor that never requires checking calibration, look no further than the Rapid RH®4.0 EX. That’s because calibration checks and recalibration are not needed with its single-use system. 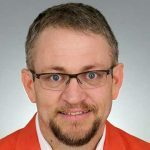 Bottomline: ANY reusable sensors have a larger initial investment, require more time to utilize and maintain, but can be used in as many test sites as necessary for a 12-month period, prior to any additional investment. More important than the type of sensor you choose is the choice you make about which test to employ. Remember: RH testing is always your best option to protect the integrity of your work. When your work and reputation rest on the results of your moisture content testing, a certified, accurate RH in situ probe delivers the confidence you need.